History lesson. 1866, American Dr. John Ellis was studying the healing powers of crude oil and unfortunately found none. He did however find potential in the oil’s lubricating properties. This discovery liberated steam engine power and allowed the growth of the national railroad system and steam ships. In 1873, he officially started a company named Valvoline after the engine valves it lubricated. 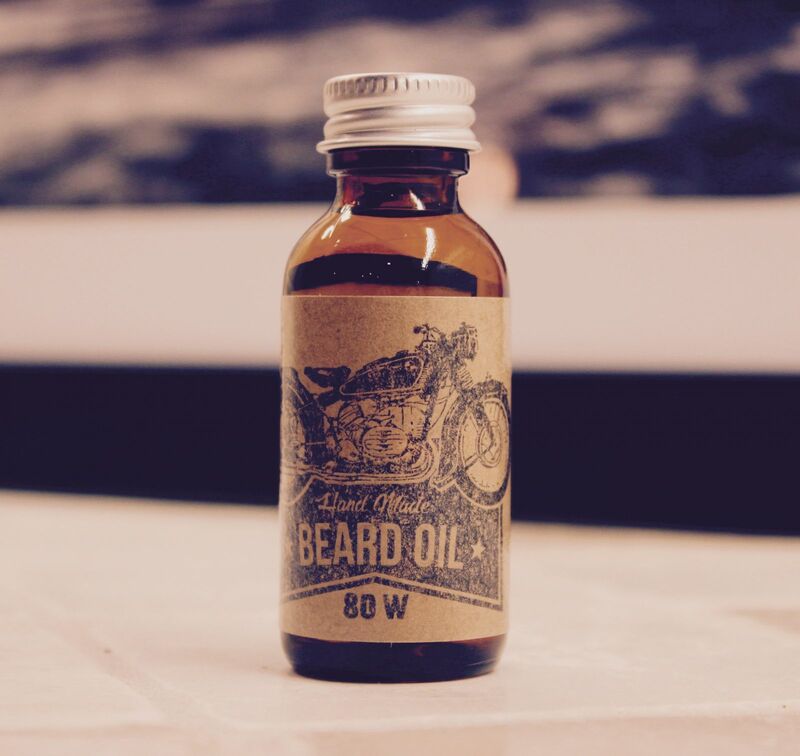 We hand make our 80W Beard Oil with twelve of the finest essential oils and carriers. Designed to tame your beard and/or mustache into submission while the aromatherapy stokes the fire in your soul. Use a few drops of this anti-microbial oil when you wake up to shape your beard or just after a shower to moisturize your face and get a great scent. Handmade. Made in the USA. Ingredients include: Jojoba, grape seed, coconut and apricot oils. Essential aroma oils include: Fir, pine, sandalwood, cedar wood, Clove, lime, West Indian Bay, black pepper. Scent: Rugged. Lightly sweet woody scent. Attracts positive attention.